We’d love your help. 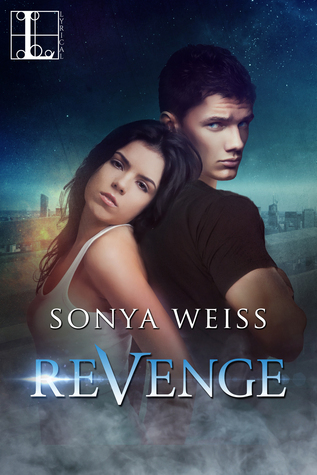 Let us know what’s wrong with this preview of Revenge by Sonya Weiss. Juliet Sawyer was born to save the world. Gifted with incredible powers, she’s the only one standing in the way of The Great Extinction, the prophesied battle between Supernaturals and humans. In order to keep her sister safe and avenge her father’s murder, she’ll have to infiltrate the ranks of the Supernatural leaders who wish to dest Their love is a ticking time bomb. only in book form ? Hopefully I will be able to read it on my kindle soon.. In a world where powers and abilities mean everything, Juliet must join the evil that wants to destroy her. Revenge is her goal, but she finds herself drawn to Riley…the son of one of the evillest men in leadership. The premise was amazing, it is exactly what I look for in a great read. There were super-naturals, “Romeo and Juliet” forbidden romance, and even an alien element. I liked the story but I didn’t find it overly engaging. I really wanted it to pull out a home run and I was invested enoug In a world where powers and abilities mean everything, Juliet must join the evil that wants to destroy her. Revenge is her goal, but she finds herself drawn to Riley…the son of one of the evillest men in leadership. I liked the story but I didn’t find it overly engaging. I really wanted it to pull out a home run and I was invested enough to want that. In the end, I give Revenge 3.5 stars. I received this ARC copy of Revenge from Kensington Books - Lyrical Press in exchange for a honest review. This book is set for publication December 22, 2015. WOW! This is so different to other books that I’ve read by this author but it is still an exceptionally enthralling and well written tale that I found it to be a riveting page turner. Set in the future, where the Supernaturals live alongside humans after their world was decimated by human exploration, there are prophesies coming true, rebellions being orchestrated but you’re not quite sure by whom and dangers around every corner. The characters are complex, well developed and intriguing. The natu WOW! This is so different to other books that I’ve read by this author but it is still an exceptionally enthralling and well written tale that I found it to be a riveting page turner. Set in the future, where the Supernaturals live alongside humans after their world was decimated by human exploration, there are prophesies coming true, rebellions being orchestrated but you’re not quite sure by whom and dangers around every corner. The characters are complex, well developed and intriguing. The nature of the Supernatural political organisation, their monarchy and objectives are being manipulated to the detriment of peaceful coexistence, war is threatened and Juliet Sawyer is the one who is supposed to save both races. Riley West is the future leader and king of the Supernaturals - and his middle name is Romeo! You’ve probably guessed there’ll be a romantic interest between the two (who could resist a Romeo and Juliet romance?). However, there’s so much more to this story than simply romance. With political intrigue, double dealing, uncalled for attacks, murders, soldiers battling with orders to kill innocent bystanders, romance and so much more, this is a fight for life for all. The tension rises through the story as Juliet and Riley face escalating perils, including a double agent in their midst. Then there’s the dramatic cliffhanger ending, leaving me desperate to read the next story in this brilliant new series - I can’t wait to read the sequel but have no idea when it is coming out! I really, really wanted to love this book, but sadly, it did not work out for me. One of the first things that drew me in about this book was the cover. I love book covers and this was a really great one. Then, I read the synopsis and was like, this sounds amazing! I couldn't wait to start reading it. I loved, the idea of the story. It was really promising. I liked the forbidden love and paranormal aspects. However, that's where my likes ended. When I started reading Revenge, I was immediately co I really, really wanted to love this book, but sadly, it did not work out for me. One of the first things that drew me in about this book was the cover. I love book covers and this was a really great one. Then, I read the synopsis and was like, this sounds amazing! I couldn't wait to start reading it. I loved, the idea of the story. It was really promising. I liked the forbidden love and paranormal aspects. However, that's where my likes ended. When I started reading Revenge, I was immediately confused. This book totally hits the ground running. Now, that's not necessarily a bad thing. In fact, I enjoy books that jump right into it, however, I felt like I was missing some vital information. Everything was so rushed, and never really explained. All this stuff was going on and I just didn't get the why or how we got to this point. I really wished that the author would have taken the time to explain things. And those key problems made it really hard for me to stay into the story. All of this being said, I was able to finish the story and I will warn you that it does end on a cliffhanger. The cliffhanger was the best part of the story for me, but I am sad that it ended that way. I am curious what will happen to these characters next, but don't know that I would be willing to continue on with this series or not. I know that I am most likely in the minority here, but this story just didn't work for me. I just wanted and needed more from this story. I can't imagine how anyone could give this book less than a 5 star review. I really, really enjoyed it and can't wait to see what this author comes up with next! I chose this book because it sounded like it would have all of the elements I look for. High stakes, forbidden romance? Check. Science-fiction or aliens? Check. Fantasy elements? Check. Please note that I received this book for free from netgalley.com in return for an honest review. Unfortunately I did not love this book as much as I wanted too. While reading it I thought it might be the author’s debut novel and that the amateurish writing could be forgiven, however I’ve just learned that she has at least two other books out. So I guess I can’t even give her that excuse. While the story concept is quite good, and the characters seemed promising, the writing is simply amateurish. To be fair, the editing was not not terrible and there were only a few issues that I noticed of words and mistakes the editor should have caught. The book’s overall writing, however, is just not quite up to what it should be. So I loved the concept of a Romeo-Juliet story with aliens. I mean, who wouldn’t love that? But the story is just so rushed. The author does not take her time introducing concepts, characters, and plot lines or twists. Important information is frequently suddenly dumped on us. The author needs to work on her pacing of the story. The book starts out and we are suddenly given a ton of information about the main character. A lot of knowledge of the world is assumed, which is ok, but the author never goes back and expands on it later. We are just constantly rushed from one “scene” to another. Another jarring aspect of this book is that, again because of the rushing, the voice of the narrative frequently changes. Sometimes we get to see the entire dialogue between Juliet and her “Romeo,” and other times the conversation is simply summarized. So instead of use seeing the conversation, the narrator simply says something like “and then he asked me if I was ok and I said yes.” It’s very strange. In fact, I’d have to say that the entire book is so rushed and scant on so many details, that it actually reads more like a summary or a “cliffs notes” of a really good book. Its sort of like if there was a great science fiction book, but instead of reading the actual book I just got to read a 7th grader’s half-hearted summary of it. In conclusion? I probably wouldn’t pay for this book. I actually was interested to see how the story resolved and I thought both main characters seemed very promising, the author just didn’t give me enough of anything to fully capture my interest. I was left wishing that someone else had written the story, because I think the idea was good, the execution was subpar. In order for Juliet Sawyer to protect her sister and avenge her father’s murder she’ll have to infiltrate the ranks of the Supernatural leaders who wish to destroy her only she didn’t count on falling for someone who wants her dead in this thrilling urban fantasy. Riley West is in charge of training the group for war which now includes Juliet, whose father in responsible for killing his family and the reader can’t help but get caught up in the excitement and the passion of the story as secrets th In order for Juliet Sawyer to protect her sister and avenge her father’s murder she’ll have to infiltrate the ranks of the Supernatural leaders who wish to destroy her only she didn’t count on falling for someone who wants her dead in this thrilling urban fantasy. Riley West is in charge of training the group for war which now includes Juliet, whose father in responsible for killing his family and the reader can’t help but get caught up in the excitement and the passion of the story as secrets threaten everything Riley believes in and a secret that could lead to Juliet’s death. The chemistry smolders between them as animosity burns hot throughout the story which keeps this relationship on a razor’s edge between love and hate with secrets and betrayals causing a tug of war with their emotional wellbeing. The characters are strong, compelling, easily related to and grab the reader’s attention while the fast paced, smooth flowing plot thrills readers with lots of suspense, excitement and romance. Spine tingling tension builds throughout the story as the intriguing events draw the reader in with lots of excitement as Juliet and Riley are constantly attacked and the danger escalates from an unexpected source and surprising twists keeps everyone on their toes. The well written scenes and details capture the imagination, making it easy for the reader to become absorbed in the story. This young adult world is a fascinating mix of supernatural, sci-fi, fantasy and romance that promises to be an exhilarating series where Juliet and Riley have very few people they can depend on to stop The Great Extinction and after that thrilling cliffhanger, I will be waiting impatiently to find out what happens next. I don't know what I was thinking. Although the plot is good, I just couldn't really take this seriously. In the year 2034, an alien species lives among the humans on earth, welcomed after a space exploration destroyed their planet. But not everything is as peaceful as it seems, and a war is brewing where the aliens will get their revenge on the humans and take over earth. Juliet is an alien, but not quite, living her life full of secrets, with a greater purpose than anyone knows. She wants to stop the destruction of the humans, but it could cost her everything if she is found out. I love myself som In the year 2034, an alien species lives among the humans on earth, welcomed after a space exploration destroyed their planet. But not everything is as peaceful as it seems, and a war is brewing where the aliens will get their revenge on the humans and take over earth. Juliet is an alien, but not quite, living her life full of secrets, with a greater purpose than anyone knows. She wants to stop the destruction of the humans, but it could cost her everything if she is found out. I love myself some alien books, especially those with romance (ok to be honest, I prefer all my books to have at least some romance). I had been really excited to get the chance to read this title once I read the synopsis, and it doesn’t hurt that I find the cover appealing. The plot of the story was very unique and I thought it was interesting with an alien war and a genetically created character, as well as the laws against half breeds and all the different species. The romance I saw coming from a mile away but I still love a good love. Juliet is the narrator of the story and I liked her well enough as a character. She is pretending to be this average human high school girl, when in actuality she is the linch-pin to a war between species and nobody is aware. She was a very mature character, seeming older than her 17 years, but I am sure that is due to the heavy responsibility she has been carrying pretty much her whole life. My biggest problem with her is that she did a 180 on her feelings for Riley after being around him for just a few hours. He shows some mild concern for her interspersed with telling her he hates her and wouldn’t mind if she dies, potentially saves her life, and bam, she thinks he is a great guy and not like what she previously thought. Uggh. Not buying it, that’s called close proximity lust. Add in the fact that she likes to be “straightforward”, which interprets as her picking away at Riley telling him she has feelings for him and that he feels the same way and won’t stop even when he gets mad. I wanted to shake her a little at how awkward she made the whole situation. Yes, honesty is swell, but I felt like she was acting a little like a desperate school girl and not the badass supernatural she actually was. I think I would have liked the book a little better is the story alternated between Juliet and Riley, that way I could have had a different insight into what was actually going on since Juliet’s world was so narrow. I had a few issues with the book. For example, there was a strange inconsistency which is not a big deal but of course I focused on it because I can’t help it, was the mention of the actor Chris Pine. Juliet compares a character to him in looks, but this book is set in the future and Chris is in his 30’s now in 2015, so he would be aged but she doesn’t say that was what he use to look like or anything to show a time transition. So maybe not use references to people popular now, but stick to describing the character without a comparison. Also, it talks about Juliet’s mom watching the film Independence Day to pick apart the issues with alien life the film depicted, but that seems far reaching to me. Wouldn’t those typical aliens in the movie have a different life than the human looking aliens in the film? And, the aliens in the book were invited to earth so the invasion concept would be null. I kind of feel like the author was just throwing references around that did not fit. Yes I know I have issues, and most people wouldn’t care, but it was inconsistent with the premise. Overall, I thought this was a good story that was not exactly what I expected and I liked that about it. The ending had a huge freaking cliff-hangery moment that means I need the next book asap. I received this title from the publisher and YA Book Bound Tours in return for my honest review. 3: Juliet is made using the genes of the old king to save the world when that happens. 4: The Humans decided after 20 years to get rid of them too, but there’s never an explanation why. Supposedly as far as they know the Supernaturals aren’t causing problems, but this prophesied war the Supernaturals were working towards is actually started by the Humans. 5: Riley is supposed to be the next king of the Supernaturals and both his mother and Juliet’s Father were killed for treason, but Riley blames Juliet’s Father for killing his family. 6: There was a law passed against half-bloods and Juliet is trying to save them. That’s it! That’s pretty much all we get. There’s so much more that could’ve been explained and explored here. Also the summary mentions her going to a camp to train and falling for one of her biggest enemies, but she was hardly in the camp and I liked Juliet and Riley, but I would’ve liked to have seen more of them together and more of them falling for each other. Also she’s only in camp for like a couple days and is always afraid of burning herself out every time she uses magic. So we get a lot of her holding back. I know this just sound like a lot of complaints, but although some parts were interesting I just felt like I didn’t get enough. Maybe the author should go back and write a prequel explaining more about the world and characters. Maybe show Juliet’s Father making her and show him being captured, and why there are the leaders and more about who Riley is, and maybe show the day when the law about the half-bloods was passed, and when Juliet first started helping them. I actually would’ve liked all that in this book, but no. I think this could’ve started off with all of the above and then show Juliet going to the camp and train, and then slowly have her and Riley fall for each other, and then end when they get attacked by the humans. Then maybe the second book could’ve focused on the start of the war and Juliet having to work to make herself stronger, and maybe take some other things that happened in this book, but as for the end of this book I don’t feel like that should’ve happened until the end of the series. It should’ve been an end goal, along with taking out the corrupt humans. It never should’ve been the end to the first book! Anyway truthfully I don’t know if I’ll continue the series after this. This book had a great story, with great possibility’s and good characters, but the pacing was off and everything went by without me being able to really grasp the story or care what happened. I feel the author had a lot of great ideas, but needs to slow down from now on. Revenge is a little different from what I usually read by Sonya Weiss. I believe this is her first attempt at a dystopic, sci-fi, YA romance, and she has been fairly successful. Revenge has a strong and interesting plot-line. The story is one that grips you from the beginning itself. Sonya Weiss has woven the story in such a manner that you are glued to your books and Kindles. Set in the future, Revenge promises to be a good read. Juliet Sawyer is a a prophesied Messiah for the humans as well as t Revenge is a little different from what I usually read by Sonya Weiss. I believe this is her first attempt at a dystopic, sci-fi, YA romance, and she has been fairly successful. Juliet Sawyer is a a prophesied Messiah for the humans as well as the Supernaturals. Gifted with extraordinary powers, but born in an unusual way, she is an outsider in both the worlds. To save her sister and avenge her father's death, Juliet has to infiltrate the ranks of the Supernatural leaders. It's going to be dangerous and life-threatening, but Juliet is determined. What she doesn't expect is to fall for the guy whom she is supposed to hate, and who hates her. Riley Romeo West is the future king of the Supernaturals. He follows his father, but has his own beliefs. He is as dangerous as he is gorgeous. He has been picked to train the new recruits which includes Juliet. He does not expect or want the sizzling, physical chemistry between them. After all, it was Juliet's father who killed Riley's family. Or so he believes. With each training session together, Riley and Juliet's attraction intensifies and soon Juliet is threatening his beliefs. He no longer knows what is what. Riley on his part, threatens Juliet's secrets. The kind of secrets, that if it came out, would mean the death of Juliet Sawyer. The best part of this story is the engaging story and the complex characters. All the characters from the protagonists to the supporting ones, have shades of grey. None of them are black and white. I loved Juliet from the beginning. Despite the abysmal hand fate had dealt her, she had the strength to fight and survive. She never gave up. She really was a hero in the book. While Juliet, for me, was a hero, she was also quite human. There were some things that I disliked about her. From the beginning we know that she saves the mixed-bloods and hides them. It's a dangerous and life-threatening task. But she so easily tells the truth to a Supernatural doctor. Granted she needed his help to save her sister, but it seemed like a stupid and unwise move. But her will to survive is commendable. All she wants to do is help the half-bloods and the humans and stop The Great Extinction from taking place. The one thing I disliked in the story other than Juliet's sometimes unwise decision was how soon Juliet and Riley got close to each other. While you could feel the attraction they have with each other in the book, you could also feel the enmity. But far too soon, that hatred disappeared. While a romance between them was inevitable, and it does take some time for the actual romance to build, it would have been fun to see them opposing each other a little more. Despite their closeness, their banter did not stop. They always tried to one-up each other in an argument and that was really fun. Humans and Supernaturals live together not in perfect harmony more like mutual wariness. Juliet has been living as a human. She isn’t one though. Her daddy was a scientist and well let’s just say her DNA is not normal- for humans or Supernaturals. Her dad was in charge of the rebellion, he died. Juliet has taken up his cause, even protecting mix blood children. All Supernaturals have a service requirement, Juliet is about to be drafted. Riley West is the head of the Probation Officers, his dad ha Humans and Supernaturals live together not in perfect harmony more like mutual wariness. Juliet has been living as a human. She isn’t one though. Her daddy was a scientist and well let’s just say her DNA is not normal- for humans or Supernaturals. Her dad was in charge of the rebellion, he died. Juliet has taken up his cause, even protecting mix blood children. 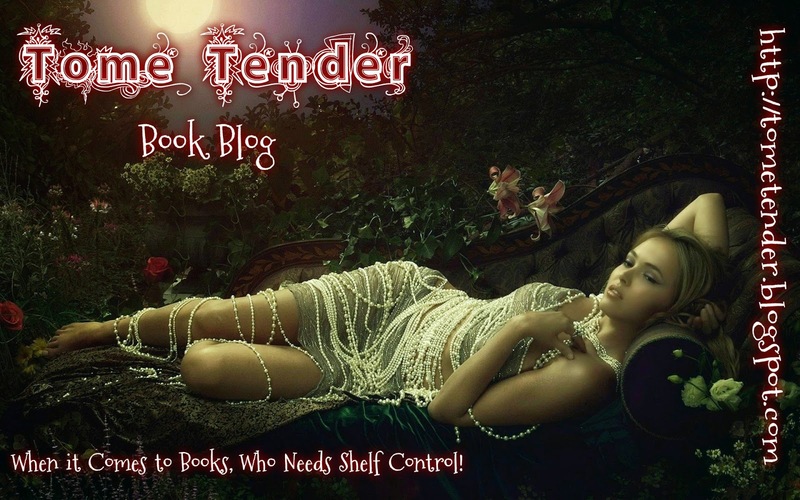 All Supernaturals have a service requirement, Juliet is about to be drafted. Riley West is the head of the Probation Officers, his dad happened to be the leader that Juliet’s dad opposed. It falls to him to train Juliet. Juliet’s dad is responsible for the deaths of Riley’s mom and brother. Riley’s dad is who killed Juliet’s dad. Riley is next in line to be king. Since Juliet’s daddy was not loyal to the king she has to train away from her family at “The Camp.” There is a lot of animosity between these two. Juliet is a strong female character with high moral values and does not deviate from them. She very clearly sees right and wrong. Because of this, she is willing to risk her life to save that of the mixed bloods. She would also risk her life for that of her sister, Maisy. Maisy is in hiding since she is a mixed blood- a royal decree mandated that she be killed. It is interesting to watch her relationship with Riley develop. While the physical attraction is instant, the emotional attraction is a slow burn. It is nice to see that these two high school students don’t just jump into a relationship. They have a lot of mistrust for each other- a lot of warranted mistrust. Riley fights the attraction even hard than Juliet. With the threat of the Ragespawns, the threat of the humans and the threat of the council this dynamic duo have a lot on their hands. Sacrfices will be made, lives will be lost. Will Riley and Juliet be on the same side? Or will the war forever separate them? Revenge is an engaging tale. It does end in a bit of a cliffhanger. One that leaves you satisfied with the first book and wondering about the next one. For almost 18 year Juliet, every day is a struggle to keep a powerful secret hidden – one that her father paid for with his life, and one that keeps her little sister Maisy hidden away for her safety. But when you got to school with the boy whose father killed your own and just so happens to of course be the King of the Supernatural race, and the secret you are keeping is so big it could chance not just your life, but all those of your “alien” Supernatural race, you tend to keep a low p 3 ½ stars! For almost 18 year Juliet, every day is a struggle to keep a powerful secret hidden – one that her father paid for with his life, and one that keeps her little sister Maisy hidden away for her safety. But when you got to school with the boy whose father killed your own and just so happens to of course be the King of the Supernatural race, and the secret you are keeping is so big it could chance not just your life, but all those of your “alien” Supernatural race, you tend to keep a low profile. However, when one day said boy (and future King himself) and Probation officer Riley West saves Juliet’s life – in front of their whole class no less – against a vile enemy of the Supernatural’s know as the Tazavorn species, Juliet knows that things are about to change and fast. Especially as the Tazavorns aren’t supposed to be on earth as one bite infects a person turning them into a crazy lizard like creature that’s only goal is to kill. With the Supernatural’s very existence hinging on her secrets, and her recent “draft” into their army with Riley as her teacher, Juliet knows that her troubles are far from gone. She also knows that the only way to keep Maisy and the other half-breeds safe from the King’s edict to have them all killed to just keeps things status quo is to go along and learn all she can about the enemies within the Supernatural’s own army. But when things start going wrong and even more Tazaavorns start publicly attacking humans and Supernaturnals alike, that means that it’s up to her and Riley to get to the bottom of the attacks, as well as finding out who is ordering them. With Juliet falling for Riley, will her heart withstand the answers they are trying to figure out, or will her secret destroy them all? Riley West was head of the Probation Officers and was watching Juliet Sawyer . Juliet had known Riley for years but only at a distance . Riley was a supernatural and son of King Dacce but Riley also fit in perfectly in the human world. Juliet had rescued and hidden some mixed blood children but was also giving information to the FBI. Falling in love was also against the rules. Juliet was an outcast , she didn’t fit with the humans or the supernaturals. The rumor was Riley was without a heart or Riley West was head of the Probation Officers and was watching Juliet Sawyer . Juliet had known Riley for years but only at a distance . Riley was a supernatural and son of King Dacce but Riley also fit in perfectly in the human world. Juliet had rescued and hidden some mixed blood children but was also giving information to the FBI. Falling in love was also against the rules. Juliet was an outcast , she didn’t fit with the humans or the supernaturals. The rumor was Riley was without a heart or conscience. Riley told Mr Sands- our teacher- to leave me alone. Then in a low voice Mr Sands threatened to kill him at the same time telling me he was taking me to the principal’s office. Riley used his power to stop Mr Sands from taking me. Then Mr Sands was dying. When I asked Riley why he stopped Mr Sands he told me Mr Sands was going to kill me. Juliet’s two human friends were Gordon and Mary and they walked home with Juliet. Gordon was Juliet’s absolute best human friend since third grade. Gordon came to Juliet's house to teach her how to fight and protect herself from bullies. Juliet and Riley’s planet had been destroyed twenty years ago by human exploration . Humans know of the supernaturals being on the earth . but the human government plots to destroy the supernaturals and the supernaturals plot and ready to destroy the humans. Even though Riley saved Juliet’s life he is very dangerous for her. Even more so when she finds she has feelings for him and he has a strong attraction to her. I did finish this book but was disappointed in it. I felt it could have been very good but a lot was going on yet not explained. Also it was ended in a cliffhanger and I absolutely hate cliffhangers.So I didn’t enjoy the story as much as I wanted to. I did like the plot of the story and I liked the characters especially Juliet and all she was trying to do also all the twists and turns she went through. I recommend. Revenge to me was like Supernatural and X-Men meets Romeo and Juliet! And if you start to think you know what's really going on don't hold your breath because that ending is probably not what you saw coming. I say I'm fairly good at figuring out where plots are going but this twist slammed into me with barely any warning. After that ending I'm impatiently waiting for the next book to see where their story goes after being left with three unsolved problems(actually four but on has been temporaril Revenge to me was like Supernatural and X-Men meets Romeo and Juliet! And if you start to think you know what's really going on don't hold your breath because that ending is probably not what you saw coming. I say I'm fairly good at figuring out where plots are going but this twist slammed into me with barely any warning. After that ending I'm impatiently waiting for the next book to see where their story goes after being left with three unsolved problems(actually four but on has been temporarily fixed). So we got these Supernaturals who are ruling their people here on Earth while humans know of their existence but are oblivious to their happening since they look just like us. At the same time the Supernaturals have to follow human laws to fit in but they are secretly plotting against the humans and the human government may not be so innocent from plots against the Supernaturals. But their is hope: one Supernatural girl is destine to save both races from The Great Extinction War.However,she'll have to get to the four leaders and the King without getting branded a traitor. In walks Riley West,ok he didn't just walk in he's been around for years but Riley and Juliet always steered clear of each other's paths.Til now. With both harboring feelings of abhorrence,wanting revenge towards each other as an unseen force pulls them together,they must figure out whose side they are really on and when lies are exposed and truth comes into the light both must wrestle with their pain and conscience before they both go down in flames along with those they are desperate to protect. After that ending I'm impatiently waiting for the next book to see where their story goes after being left with three unsolved problems(actually four but on has been temporarily fixed). This story had so much action and plenty of twists, but the characters never made me care about them. It earns 3.3 out of five stars from me. The idea of people with Supernatural power isn't new. In this book, these people are actually aliens whose planet was destroyed in a war. They settled on Earth some 16 years ago in an uneasy truce with human governments. That's about to change as this girl with a destiny according to ancient scrolls from their home planet frees her people from subjugation. I This story had so much action and plenty of twists, but the characters never made me care about them. It earns 3.3 out of five stars from me. That's about to change as this girl with a destiny according to ancient scrolls from their home planet frees her people from subjugation. It felt like the author meshed an orphan and quest trope with something alien. Not horrible, but not super compelling either. I could accept all this. Really. But I didn't care about the characters. They felt like puppets on a stage, performing a show for me. People died and it didn't hurt. Because of this, scenes that should have been tense were hollow and emotionless. Perhaps it's because I'm an adult reading YA (but as you know I read TONS of it), but this story fell flat with me. I forced myself to keep reading because I won this book at an event and I really wanted to find some new authors. To make things worse, the story ends without an ending. Their quest is half-fulfilled but they were betrayed by one of their own. What should have been a shocking secret was thrown into the final scene like a rotten egg in a parade. No setup. The only foreshadowing (and I called who the traitor was because of this) was an uneasy feeling the heroine had around this guy. I loved this book! It drew me in on the very first page! I could not put it down, I finished in one sitting! Juliet is a strong and compassionate main character and her Romeo is tall, dark and brooding. Juliet and Riley (Romeo) are Supernaturals who are living on Earth after the their planet was destroyed 20 years ago. Riley is son of the king who replaced the one who died on their planet, and after his mother and brothers are murdered hates Juliet because he blames her father. Juliet hates Rile I loved this book! It drew me in on the very first page! I could not put it down, I finished in one sitting! Juliet and Riley (Romeo) are Supernaturals who are living on Earth after the their planet was destroyed 20 years ago. Riley is son of the king who replaced the one who died on their planet, and after his mother and brothers are murdered hates Juliet because he blames her father. Juliet hates Riley and his father for the oppression of her people and the murder of her father who lead a rebellion. When Riley has to train Juliet to prepare for the Great Extinction, tension runs high. There is an attraction between them that confuses and sometime agitates them. The romance between the two of them was not rushed or felt forced, it went at a decent pace and wasn't distracting. Thankfully there was no love triangle, there was a few characters who expressed their interest in Juliet but it wasn't a main focus. The ending while not predictable, I new who was going to betray them before the character did it. Even though I knew who it was, the reasoning behind the motives was a surprise. Overall, I enjoyed this book and I can't wait for the next one to see what happens to Juliet and Riley. I was in love with this book from just the blurb alone. I couldn't put it down and was pulled into the story right off the bat. Juliet is a great heroine and Riley is a great hero, I loved all the twists and turns in the story and was so sad to see it end. I can't believe I have to wait to find out what happens next!! Loved it! This was like a romance/fantasy/adventure/just-awesome book. The story was great. I liked the characters. The ending was good. And I loved the irony that it was a Romeo and Juliet type story in which the main characters' names were actually Juliet and R___. Totally great. I received this egalley from Netgalley in exchange for an honest review. The plot was intriguing but I didn't particularly liked how it was written. This was good from the first page and couldn't put it down till the last page. And I want more.